September 2008 the global financial markets stood at the edge of the abyss after the default of the American bank Lehman Brothers. Although a complete meltdown was avoided, the so-called ‘credit crunch’ led to the largest economic recession since the Great Depression of 1929. 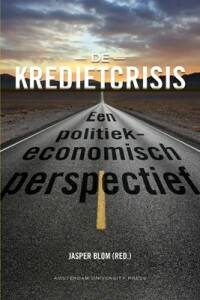 De kredietcrisis analyses the causes of the crisis from a political economy perspective and sets the crisis in the context of long-term trends in the global economy. 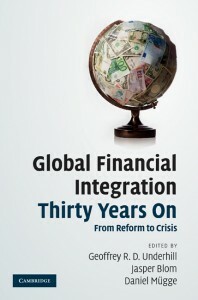 Three key arguments run throughout the volume: (i) markets are institutionally embedded; (ii) financialisation has increased the importance of finance vis-a-vis the real economy; and (iii) decisions and nondecisions of policymakers were key in the developments leading to the crisis. The volume offers a unique Dutch-language collection of scholarly work on the political economy of financial markets and emphasises that a more thorough public debate on the developments and regulation of the financial system is needed. The financial crisis that started in 2007 has put the inherent challenges posed by global financial markets in a multilevel governance setting in sharp relief. It prominently raised the question why it apparently was not possible to develop a governance pattern better equipped to mitigate the worst effects of the crisis. In more formal terms: What explains the relationship between market structure and patterns of governance, so as to understand the dynamics of the global financial system? This thesis develops an innovative approach to address this issue. It is argued that an integrated notion of states and markets can further our understanding of the global financial system. 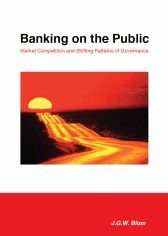 Both public and private actors exert agency on markets and in the policymaking process in a simultaneous fashion, and a focus on either markets or states (‘politics’) therefore falls short in explaining the dynamic in the system. The case studies on the policymaking processes addressing international bank capital adequacy standards (the Basel Capital Accords) and sovereign debt crisis resolution provide the empirical backing for this argument. Overcoming the state-market dichotomy not only leads to better analysis, it also points to new and important avenues for reform. This thesis therefore provides a timely analytical and socially relevant contribution.